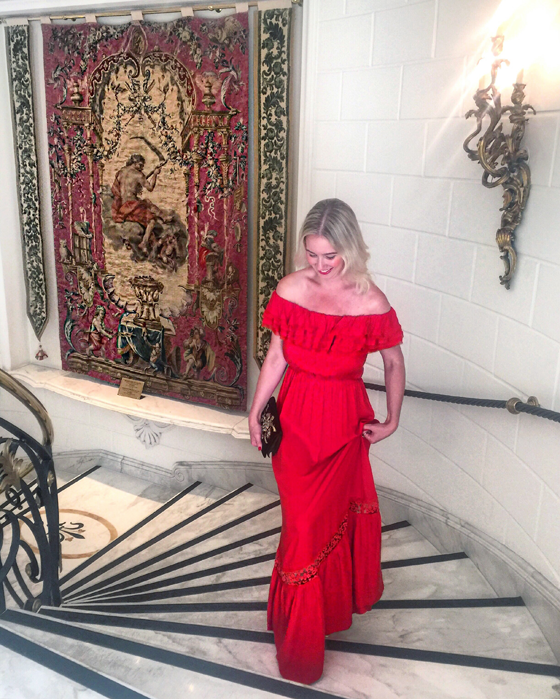 I've finally returned from my whirlwind adventure in Italy and can't wait to share with you the highlights of my trip with the beautiful Rome Cavalieri. 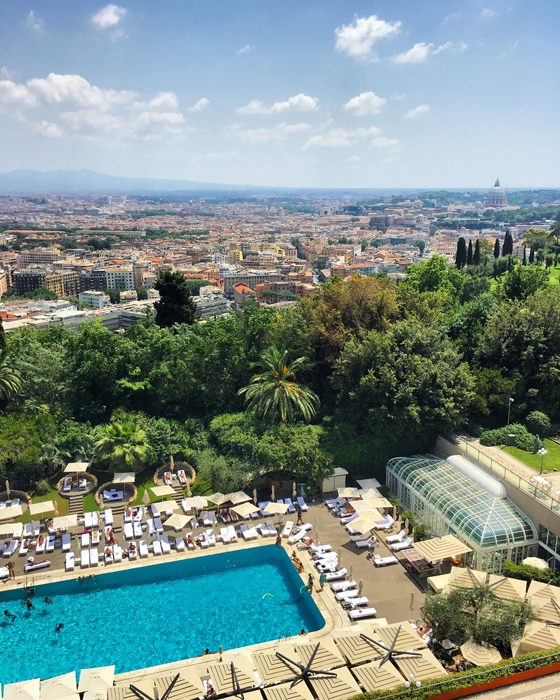 For those of you who aren't familiar with the property, it sits right above the eternal city, giving you the most unparalleled panorama views of Rome. And despite all the gold embellishment and 5 star sparkle, it feels like a true home away from home. 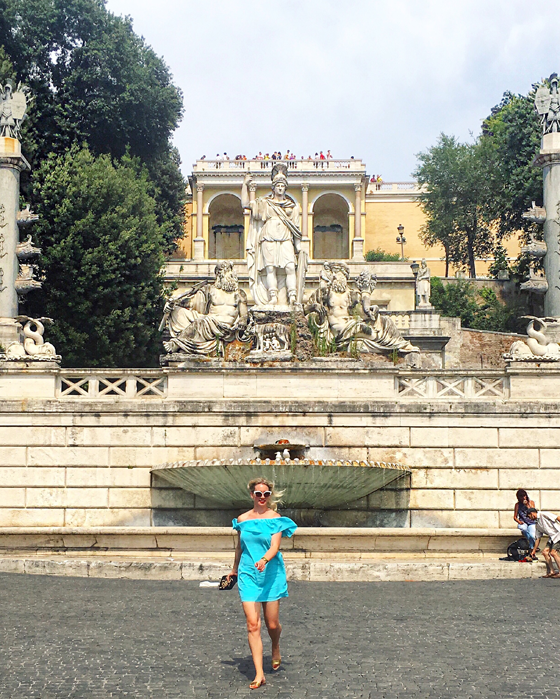 In fact, it feels like you are visiting your very wealthy relatives who host the most lively pool parties, own the most extensive personal Italian art-collection, and boast the most warmhearted staff who make you feel so cared for. 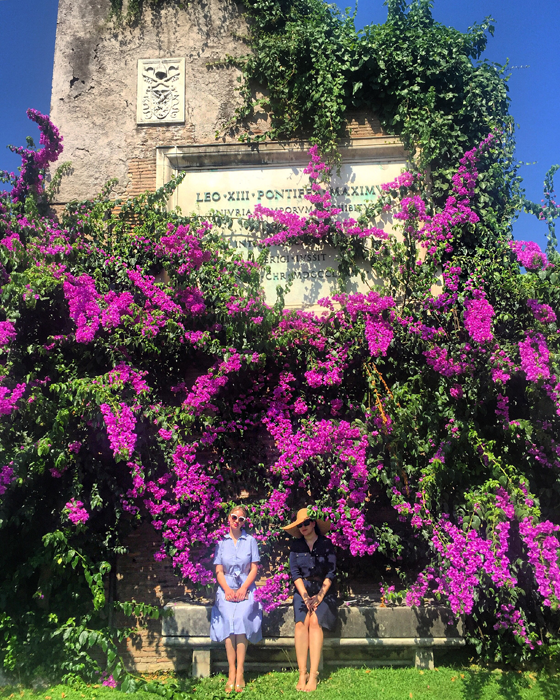 My fellow travel mates and I, including Meagan Cignoli, Sam Horine, Katie Sturino, and Melanie Brandman, arrived in Rome bright and early on Saturday July 9th and kicked off our day with breakfast by the pool at L'Uliveto. The photo above was taken from my Imperial Room bedroom balcony. The view was just breathtaking spanning the entire city (you can see the dome of St. Peter's Bascilia to the far right). For us, Day 1 was really about familiarizing ourselves with the property. We got to have a personal tour of the art collection, followed by an incredible walk through of the wine cellar with Sommelier Marco Reitano, before heading upstairs to the top floor for dinner at La Pergola. You can see from the photo above that the art collection hangs freely and openly amongst the hallways. The hotel is like an all access art gallery. Honestly, I'm not quite sure I have the words to portray just HOW incredible the meal was at La Pergola. It is the only three Michelin star restaurant in Rome, and certainly one of the best in all of Italy. We got to meet the lovely and humble resident chef Heinz Beck and I had the privilege to chat with him one on one regarding his research/practice in molecular gastronomy. 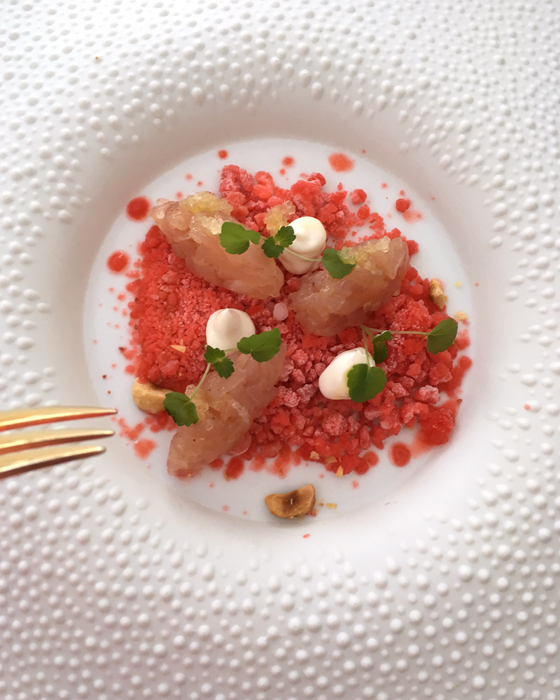 The dish pictured above was the first on our 7 course menu, amberjack tartare on strawberry ice crush, almond mouse and finger lime. 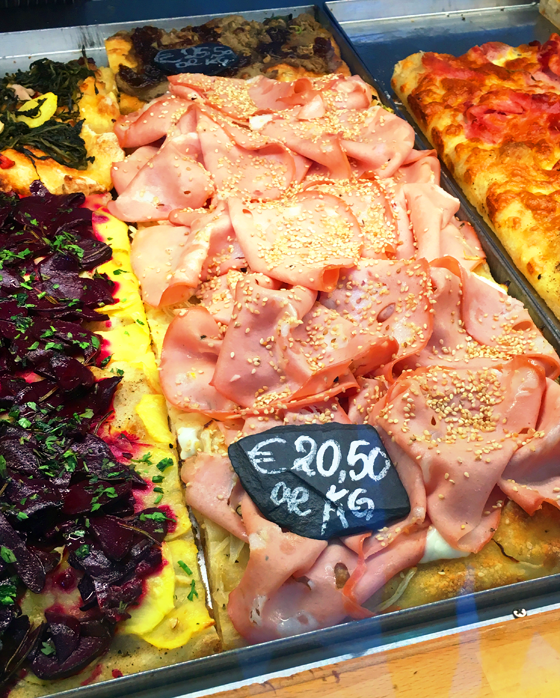 I've never really mentioned this here but I am an enormous Anthony Bourdain fangirl, so you can imagine how absolutely elated I was when we kicked off the food tour at Bonci (the same pizza spot from Bourdain's layover episode in Rome). AND it was every bit as mouthwatering as I had hoped it would be. 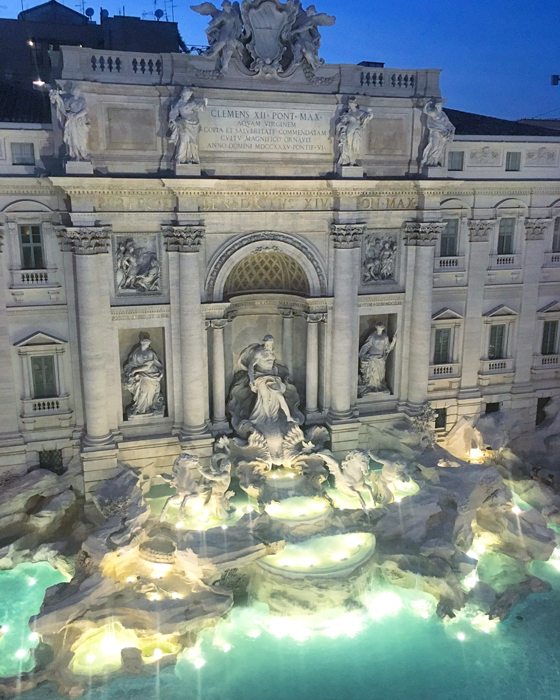 From there things escalated to a dinner overlooking the Trevi Fountain, I repeat TREVI FOUNTAIN!! 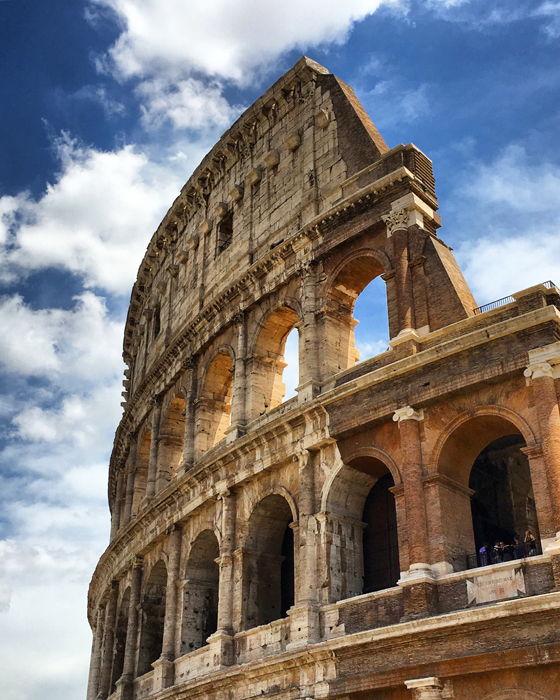 In all the times I've visited Rome, I have never seen this spectacular site from above. 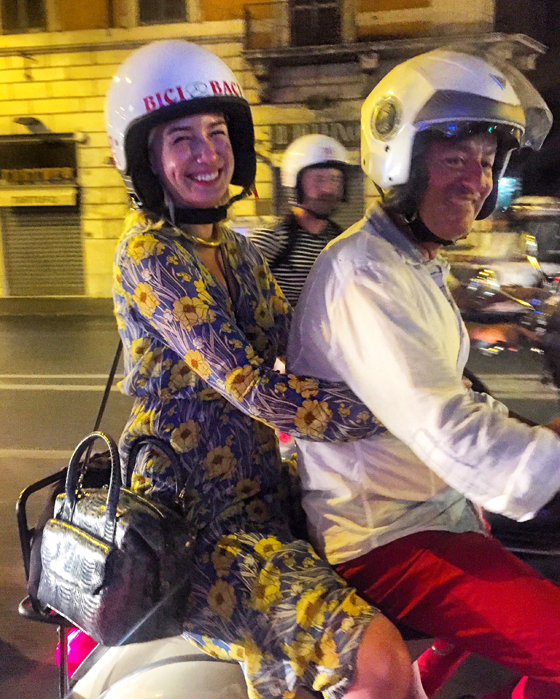 And as if things couldn't get any better, we finished the evening with gelato at Giolitti and all 5 New Yorkers boarded our personal vintage Bici & Baci vespas to tour Rome by night. 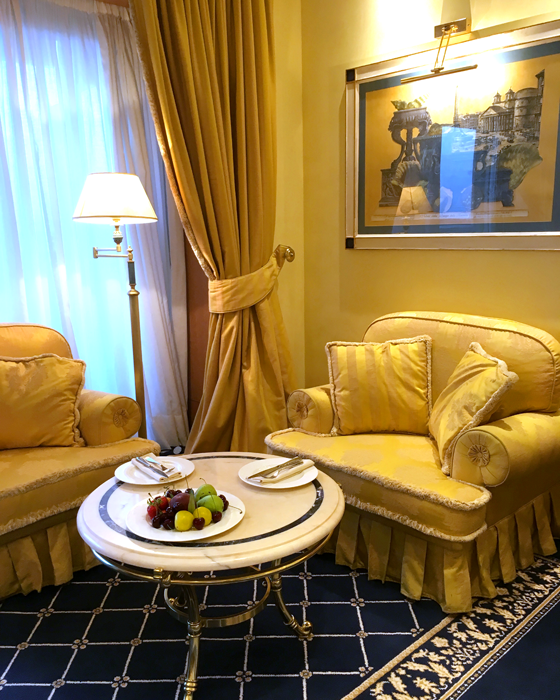 Rome Cavalieri, let me just say in the interest of full disclosure, that was probably the greatest night I have ever had in Italy!! I can't thank you enough. 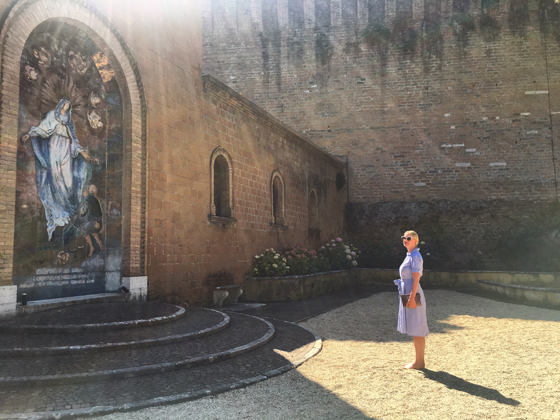 AND to think there was still another day of the trip to go...Day 3 started with a private tour of the Vatican Gardens and of course St. Peter's Basilica and the Sistine Chapel. 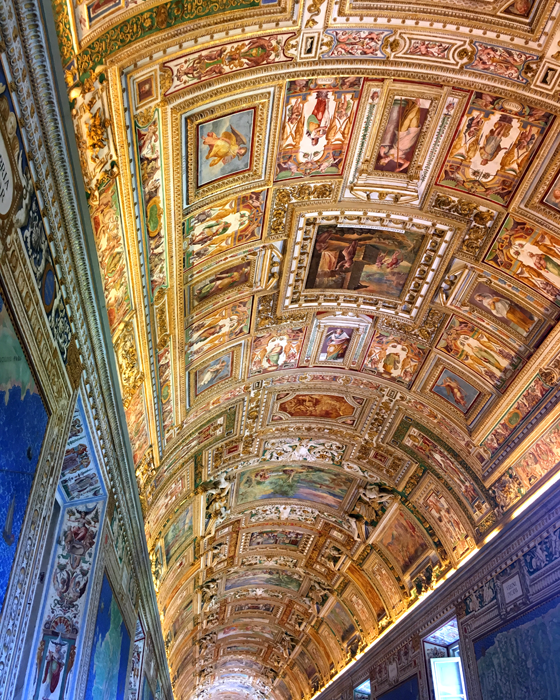 The last time I visited Vatican City I was an art history student at McGill University. It felt absolutely surreal to be walking through 10 years later as a professional artist. It's amazing how life plays out sometimes. And I honestly appreciate it even more today, than the first time I ever saw it. A very special thank you to Meagan Cignoli for capturing this moment above. There was something so beautiful and divine about the lighting in the garden. 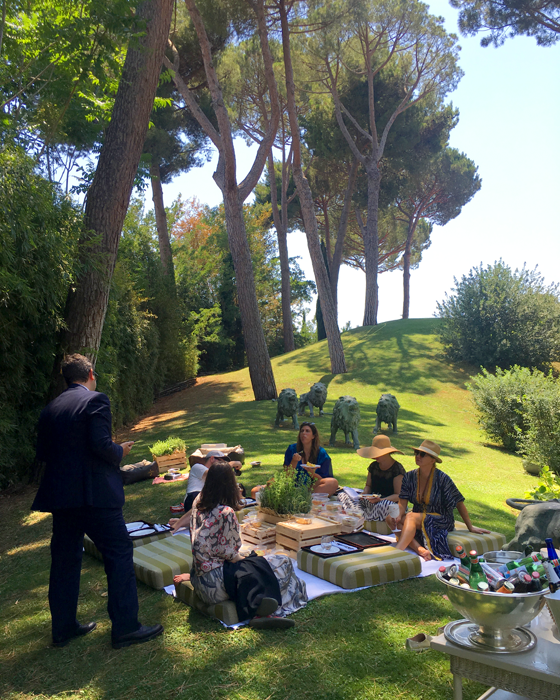 After our tour we headed back to the hotel for a beautiful picnic at Rome Cavalieri. The kitchen prepared the most amazing dishes complemented by Moet Chandon and our two celebrity dogs (my new best friends), Toast Meets World and Muppets Revenge. Just look at Toast and I above laughing at all of our inside jokes. 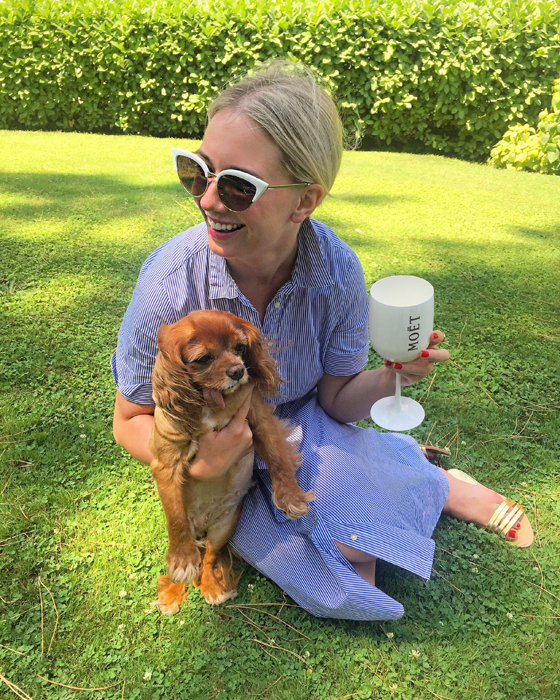 Rome Cavalieri actually has a VIP dog program which is pretty darn glamorous if you ask me. 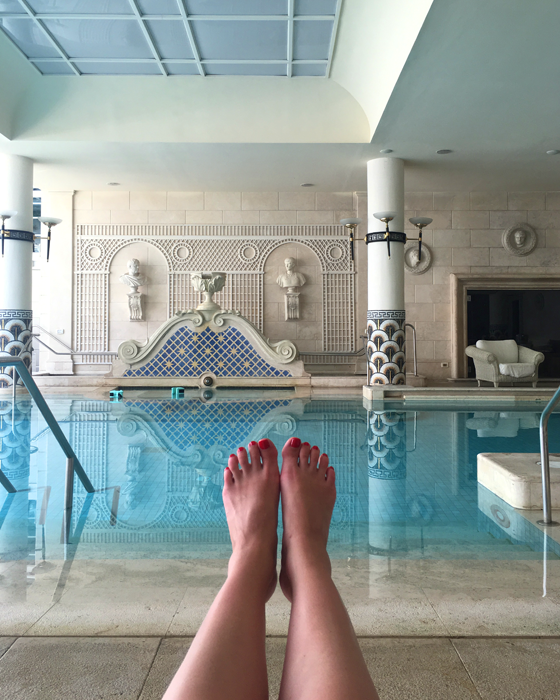 After our picnic, it was time for a little cabana experience by the pool before getting ready for dinner in the Trastevere. Thank you for that great post. Looks awesome. Your posts are always fun to read. You have made a new Fan! Wow this looks incredible! 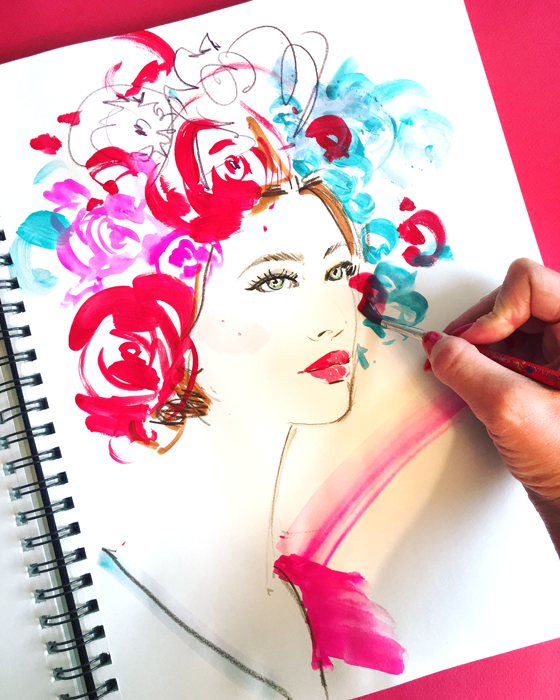 Really like your blog. Will be voting for you!